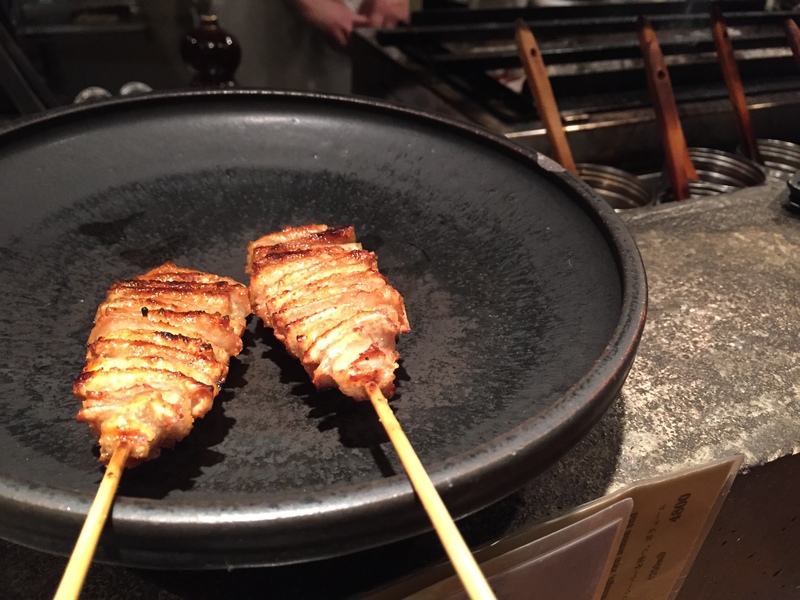 Most yakitori places are a little rough around the edges – after all it’s basically barbecue food (though it feels blasphemous to even make that comparison). 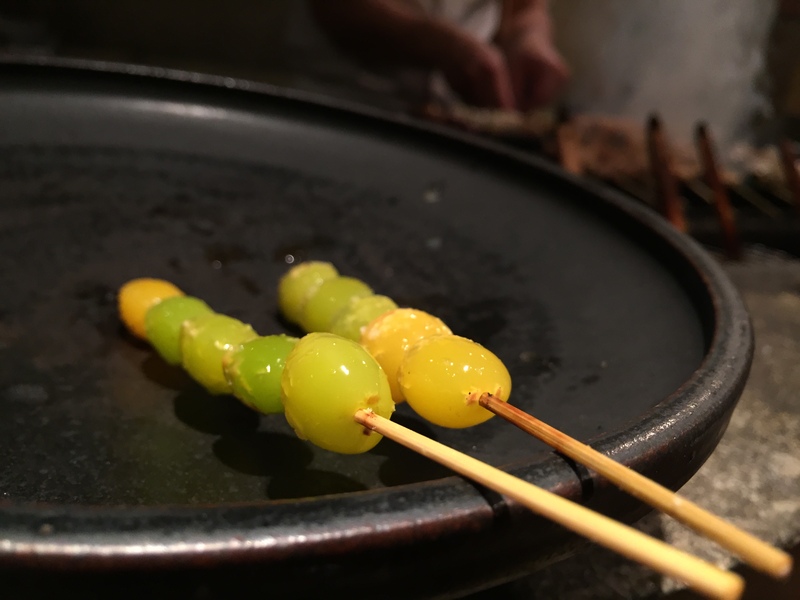 Fuku is a slightly classier affair (and even better, a non-smoking affair, a rarity in Tokyo). 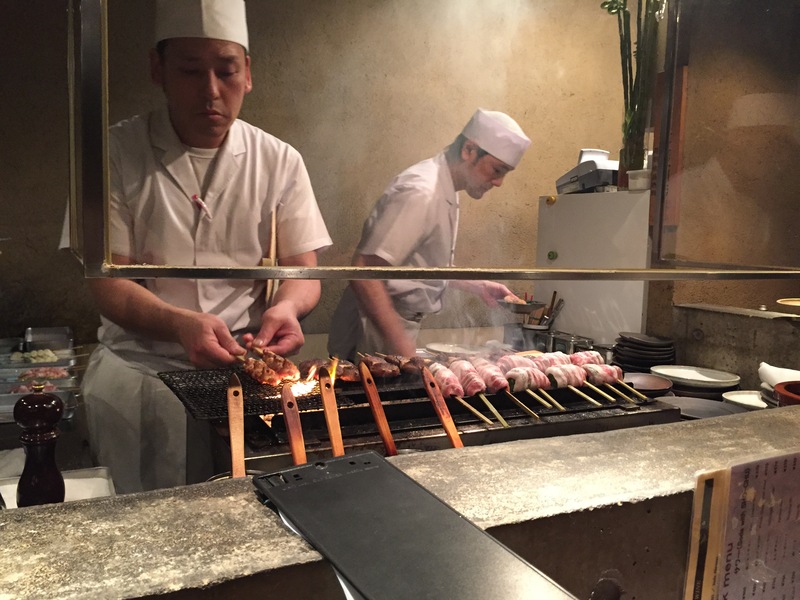 The chef expertly grills skewers of various parts of chicken (amongst other things) right in front of you – and we were lucky enough to get seats at the bar with front row seats to all the action. You need a reservation for this place, otherwise you might miss out. MUST HAVES: Chicken skin, tebasaki (chicken wings) and for the more adventurous of you I’d suggest trying the tori wasa (raw, YES RAW!!!! chicken). Crispy delicious chicken skin – we ordered another round of these at the end of the night. Gingko nut. A really delightful treat and difficult to describe. Texture of a roasted chestnut with meaty chargrill overtones. Must try. The raw chicken. 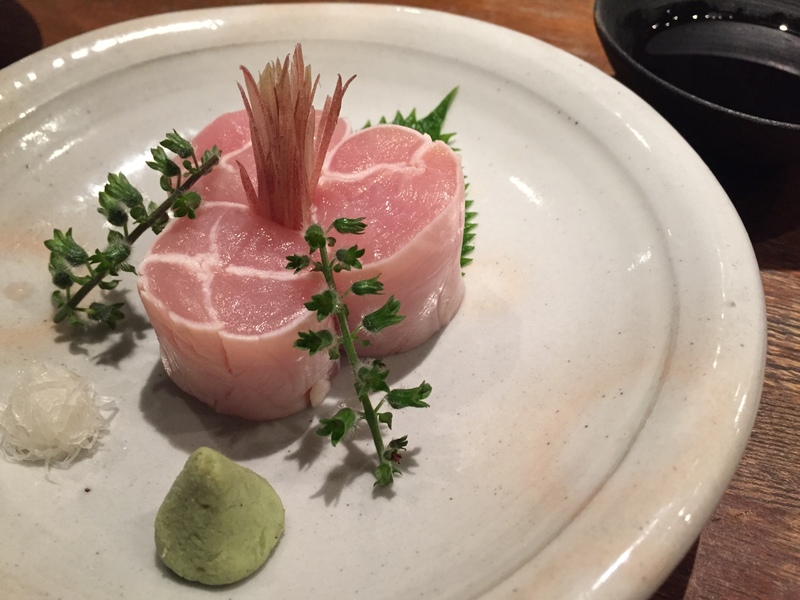 It really has a unique texture, not quite like sushi. It was actually very tasty. But did it taste like chicken????. 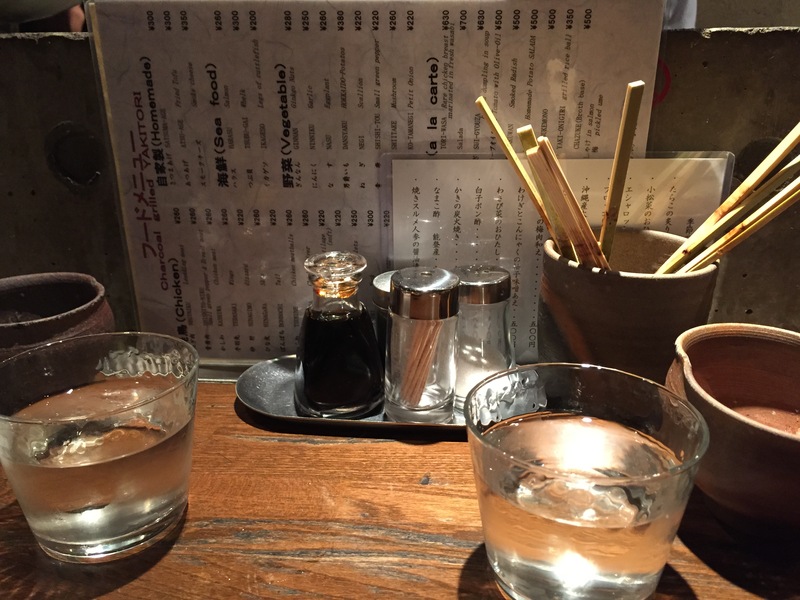 All washed down with cup after cup of sake (that ain’t water folks! ).